HCMC continued attracting most foreign direct investment (FDI) capital in the first two months this year with the registered funds of US$1.05 billion, accounting for 31.27 percent of total investment capital. 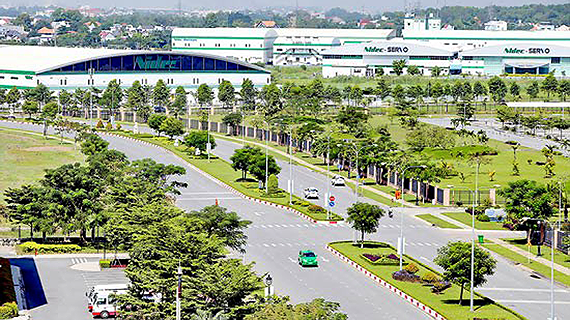 According to a report by Foreign Investment Agency under the Ministry of Planning and Investment, the city was followed by Binh Duong province with $434 million and Ninh Thuan province with $253.9 million. FDI capital registered to Vietnam was US$3.34 billion, accounting for 98.2 percent of that during the same period in 2017. Of these, 411 projects received investment certificates with the total capital of US$1.39 billion. In addition, 133 projects registered to increase investment capital by $700.3 million. The country saw 873 capital contributions and share purchases by foreign investors with the total value of $1.25 billion, increasing 102.5 percent over the same period last year. The capital contribution and share purchase has been more popular, significantly contributing to total foreign capital registered to Vietnam. The HCMC Department of Planning and Architecture yesterday announced an international competition to seek ideas for the planning and development of a highly interactive innovation district in the eastern part of the city.